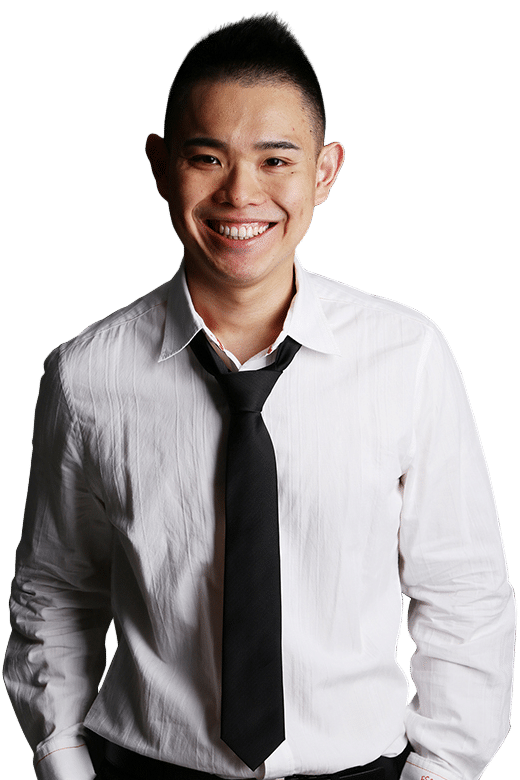 Want to learn how to become a consistently profitable trader without the hype, fluff and get-rich-quick-schemes? 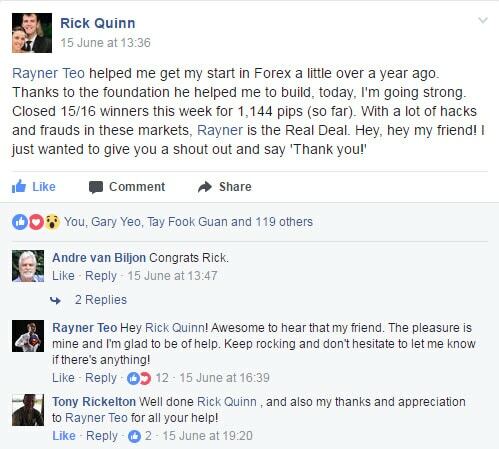 Rayner Teo is an independent trader, an ex-prop trader, and the founder of TradingwithRayner. 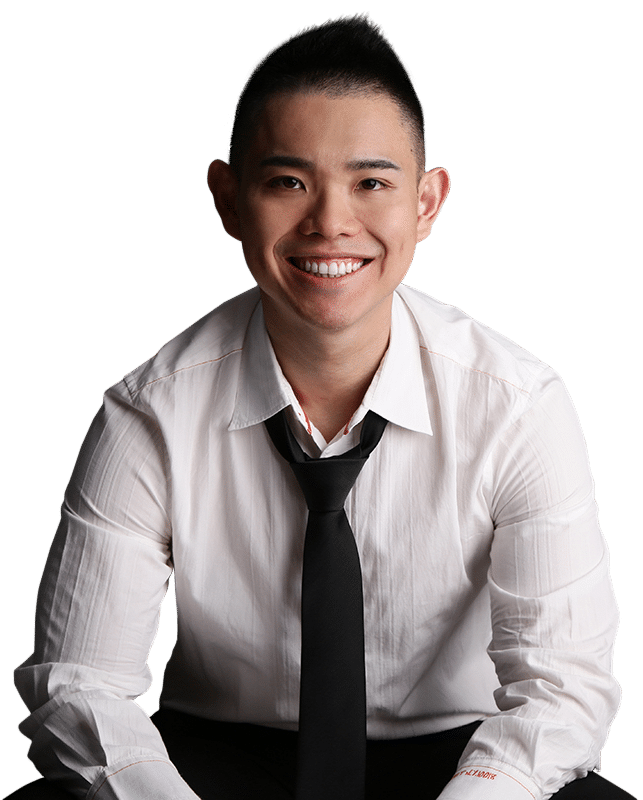 He is the most followed trader in Singapore with more than 100,000 traders reading his blog each month. I’m not a multi-millionaire trader, I don’t drive fancy cars, and I don’t live in a penthouse. 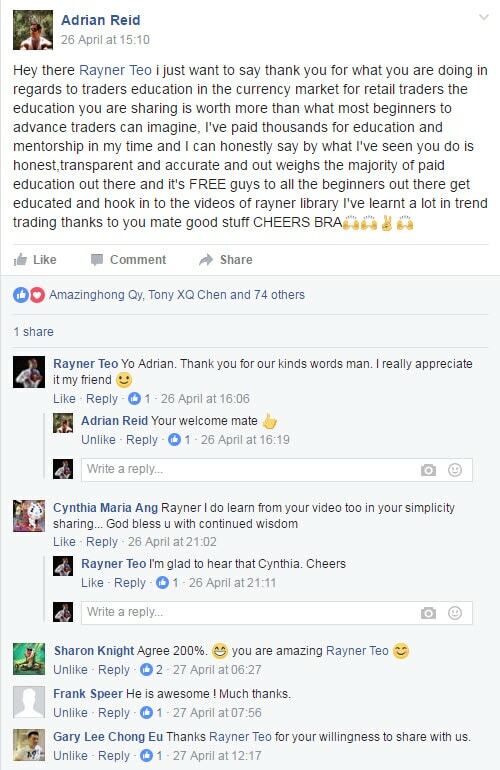 But, I am the founder of TradingwithRayner, an independent trader, and the most-followed trader in Singapore. I specialize in studying great research from people much more qualified than me. Then, I apply it to the real-world of trading to find out what works and what doesn’t. And finally, share them with people like you, so you can become a consistently profitable trader. "Is this guy worth my time and attention?" For some reason, people equate trading to “get rich quick”. I get it. That’s what attracted me to the business in 2009 (more on that later). I thought it would be easy money and I’d make thousands coming in every day… by clicking a mouse. Although I've been consistently profitable for a few years now… it took lots of work, frustration, and perseverance to get there. So if you’re not prepared to commit to roughly ten times more effort than you’re expecting, then please leave this page now (I don't want to waste your time). The finance space is huge. You've probably heard of stuff like assets, liabilities, debt to equity, P/E, P/B, P/S, and etc. But... I'm not a finance guy. I'm not an investor. I'm not an analyst. I'm a trader. And the only thing I care about is — Price. So, if you don't want to learn how to trade, then this isn't a place for you. When I hear someone say, “What’s the easiest way”, it means I’m not invested in the long term success of my trading business. And that really translates to “I don’t want to work”. Look, trading is HARD WORK. Yes, your earning potential is limitless. It can be just like you imagined: Making consistent profits by clicking a mouse. How do I Know if your stuff is good? If you like it, you’ll probably like my training. If you're still reading, then you probably want to learn more about me. It was back in 2009 when a Forex broker came to my school and organize a trading competition. I blew up my account within 2 days and that’s the start of my trading career. During my university days, I devoured every bit of trading knowledge I came across. I’ve studied things like MACD, RSI, Stochastic, Price action, Candlesticks, Chart patterns, Harmonic patterns, and etc. Still, I wasn’t a consistently profitable trader. But I’m not about to give up just yet. So right after graduation, I applied for proprietary trading jobs in the hopes of learning how the pros do it. After countless failed interviews and rejections, I was eventually hired as a proprietary futures trader. And it wasn’t long before I got my “AHA” moment. If you want to be a consistently profitable trader, you must have a consistent set of actions. It’s nothing ground breaking. But it took me years to figure it out and to become a consistently profitable trader. After 2 years, I decided to leave the firm to trade on my own. Then, I started TradingwithRayner to journal down the things I’ve learned, so I can help traders find success in the markets. Subscribe below and become a better trader today. Thanks for reading and I'll see you on the battlefield!